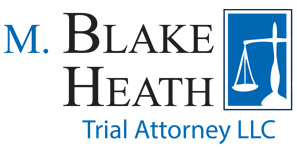 M. Blake Heath along with co-counsel William Reynolds, with The Reynolds Law Firm, successfully obtained a $185,000.00 settlement for Quentin Bradford after he was struck by a car being driven by defendant Jacob Sain. The accident occurred on September 19, 2012, when Defendant Sain ran a stop sign and stuck the car Mr. Bradford was driving. Mr. Bradford suffered severe injures including a laceration to his forehead and on his arm. Mr. Bradford was also diagnosed with having a traumatic brain injury as a result of the accident. The Defendant carried liability insurance in the amount of $100,000.00 per person and $300,000.00 per occurrence. Mr. Bradford had an American Family policy for underinsured motorist coverage with identical coverage amounts. The liability carrier paid its $100,000.00 limits as a result of the accident. At first, American Family denied coverage under its underinsured motorist policy. Mr. Bradford filed a motion for summary judgment and pointed out that recent Missouri case law found policies similar to Mr. Bradford’s had to provide underinsured motorist coverage even though the liability limits and underinsured motorist coverage were identical. American Family withdrew its denial of coverage before the court could rule on the motion for summary judgment, and ultimately $85,000.00 in additional monies was paid to the client.